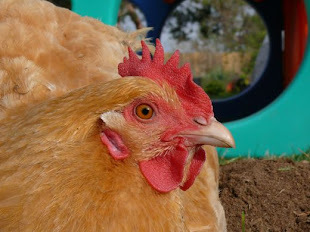 Chicken Blog: 17~ Coming Soon! Where we live there is at least one yoga studio per 42 residents... it's in the city's charter. But, by popular request, we are opening the first goat and yoga studio in town. Actually, this is only part of my empire scheme. The final vision is for an all inclusive California suburban experience. Bird House Goats & Yoga will have seminars on Meditation Through Laundry, Zen and the Art of Cosplay. We are developing a Tai Chi class, led entirely by chickens. We hope to include weekend workshops on felting cat hair, cutting your own wheatgrass, cosmic alignment of raking a hen house, chanting with goats. 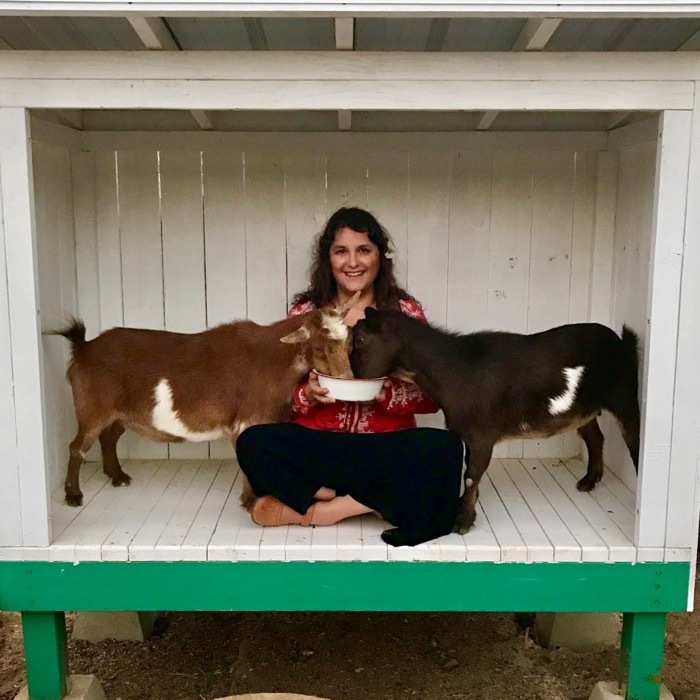 Exclusively, during Santa Ana season, we will be offering Hot Yoga, with Goats and All Night Sweat Lodging in our barn. Consider Goat Massage... that's deep tissue, and it's breathtaking. Ungulate hooves can pinpoint the spots where you are most susceptible to bruising and tendon tears, opening you up to seek alternative healing, restoration. If we can pass the food handler's licensing test, we may add a fro-yo shop with fresh goat's milk frozen yogurt and boba. Can you see it? 3D print your own yoga mat! Buy my Totes My Goats Tote... to carry your bottle of kombucha, flip-flops, and knitting. Drum circles! This won't be just another yoga studio. This will be the Ultimate Ungulate Universal Yoga and Spa Sensation. Reserve your space now! Namaste, to all the friends on FB who tagged me and posted goat yoga videos on my wall. And a big and loving thanks to Geoff, William, and Max, who helped me demolish the old goat shed, and build this awesome new shelter for our dear goaters. This is awesome! This must be shared, complete with your commentary, somehow, with everyone I know! It is just too good! Glad you can share a laugh with me, and please! do share this post with friends. Thank you, Rachel. Oooh... I am going to add "Live Music" to go with the yoga and chanting! *Courtesy of James: "The Devil Wears Prana"